Monmouth College is a private, selective, residential, national liberal arts college, offering majors in the natural sciences, social sciences, arts and humanities, as well as outstanding academic advising, small, seminar-style classes, varied internship and study abroad opportunities, and summer research experiences to thoughtful, intellectually engaged and ambitious students. Affiliations & Accreditations: Charter member of the Associated Colleges of the Midwest, a consortium of leading liberal arts colleges; Presbyterian Church (U.S.A.); The Annapolis Group; American Chemical Society; Higher Learning Commission. Established in 1853 by Scotch-Irish Presbyterian pioneers, Monmouth is a nationally ranked, residential, liberal arts college. The College celebrates its history as an outstanding private college dedicated to excellence in undergraduate education. Believing that equal educational opportunities should be afforded to all who could benefit, Monmouth's founders ignored popular convention by freely admitting women and students of color. On the Monmouth campus, two of the earliest and best-known fraternities for women, Pi Beta Phi and Kappa Kappa Gamma, were founded. Monmouth has a distinguished military history, counting four Medal of Honor recipients among its alumni. It honors the spirit of its founders through its award-winning bagpipe band, a registered tartan, and the winning athletic tradition of the Fighting Scots. As a community of learners, Monmouth strives to create and sustain an environment that is value-centered, intellectually challenging, aesthetically inspiring, and culturally diverse. The College integrates a four-year program of general education with in-depth study in the major and a rich array of co-curricular activities in order to foster the discovery of connections among disciplines and of larger patterns of meaning. Through these experiences, Monmouth students explore multiple perspectives on the human condition and prepare themselves for rich personal and professional lives – for leadership, citizenship, and service in a global context. Through observation and participation, the College seeks to deepen students' understanding and appreciation of the creative tension that exists among the principles of democracy, pluralism, equality, and freedom in this nation and beyond. As an undergraduate liberal arts college, we recognize the close relationship between faculty and students to be fundamental to our learning environment. As a community of learners, we strive to create and sustain an environment that is value-centered, intellectually challenging, aesthetically inspiring, and culturally diverse, and we hold as central our commitment to liberal arts education and to one another. We integrate a four-year program of general education with in-depth study in the major and a rich array of co-curricular activities in order to foster the discovery of connections among disciplines and of larger patterns of meaning. Through these experiences, we help our students explore multiple perspectives on the human condition and prepare themselves for rich personal and professional lives—for leadership, citizenship, and service in a global context. 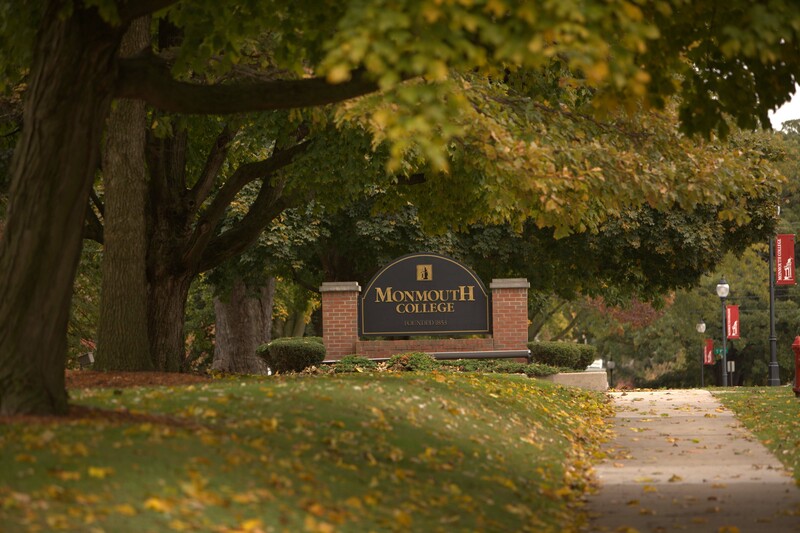 Monmouth College was founded in 1853 by pioneering Presbyterians. As a campus community, we honor that heritage and value religious diversity as we explore the spiritual dimension of human existence and the relationship between faith and knowledge. As both observers and participants, we seek to deepen our understanding and appreciation of the creative tension that exists among the principles of democracy, pluralism, equality, and freedom in our own nation and beyond. Prepare students for rich personal and professional lives. Prepare students for positions of leadership, service, and citizenship in a global context. Promote awareness and exploration of the sometimes contradictory principles which exist in democracy, pluralism, equality, and freedom. Providing students with a four-year general education program, in-depth study in the major, and a rich array of co-curricular activities. Fostering the discovery of connections among disciplines and of larger patterns of meaning. Promoting an understanding of a value system that is shaped by individual and collective experiences. Explore the spiritual dimension of human existence and the relationship between faith and knowledge. Introduce students to multiple perspectives on the human condition and promote self-awareness of global perspectives both through the curriculum and through campus life. Foster and promote intellectual inquiry and critical analysis through mentoring relationships characterized by individual attention. Develop creativity and skills in written and oral communication and artistic expression. Understand the methods of inquiry and expression in the arts, humanities, sciences, and social sciences. The curriculum in Biology offers an opportunity for students to understand the structures and processes that characterize life and to appreciate the tremendous diversity of living organisms. Course work is balanced among three scales of biological organization: Cell/Molecular, Physiology/Organismal, and Ecology/Evolution. An important component of the major is independent research that enables the student to become familiar with the process of science by investigating a specific biological problem in the laboratory or field. Computer Science is a rapidly growing and ever-changing field that is primarily concerned with software design and development. The study in the field of Computer Science develops one’s abilities to think logically and promotes excellent problem-solving skills. With this preparation, Computer Science graduates continue to be in high demand. Dual-Degree Engineering is a way of combining Engineering with a liberal arts education. Unlike traditional programs at engineering schools, dual-degree students spend significant time studying outside of engineering and natural sciences. Dual-degree students spend time learning in the arts, humanities, and social sciences as well as the natural sciences. The dual-degree program gives students more free electives and the opportunity to become broadly educated. Writing well and speaking well are important facets of a dual-degree program at Monmouth College. Monmouth College is committed to educating the leaders of tomorrow. A Political Science degree equips students with the background they need to become successful leaders in virtually any field. Whether one's goal is graduate school, government, or business, a Political Science degree will provide the tools needed for students to realize their potential. Students majoring in Psychology will learn to understand the biological, developmental, and social determinants of human and animal behavior. Our program will provide you with the tools necessary to succeed in your future career by providing intellectual and practical engagement through internships, participation in conferences, travel, and research opportunities. The Psychology major requires a total of 9.5 courses. Courses are divided into three categories: Required Courses, Foundational Courses, and Advanced Courses.